Kids Birthday Party planning in Montreal made easy! 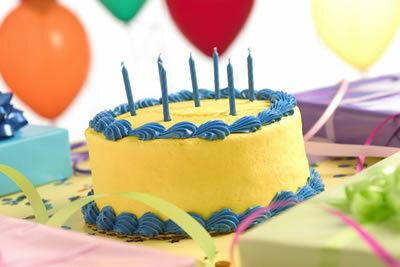 Planning your child's next birthday party should be fun and stress-free (isn't everything with your kids?)! Get the Scoop on everything from birthday cakes, decorations, loot bags and much more.... these birthday party suppliers give you everything you need to host the coolest kids birthday party at home or in the most unique locations! * all with your Scoop Card. Packed with everything you will need to throw an unforgettable party! From balloons, loot bags to countless party favours! Find that wow gift for special birthdays and everything in between. Art-enfant covers all the bases with toys that inspire active learning and imagination. The Country's Best Yogurt! Discover TCBY's nutritious and healthy frozen yogurt plus... birthday cakes & cupcakes. Looking for your next Birthday venue?Come visit Princess Stephanie`s Enchanted Castle. There will be activities in all 3 theme rooms,including a pirate show, a princess story time, hair & make up, and much more! Montreal's first and only indoor cage sports facility...soccer, basketball, ball hockey and much much more. The perfect environment for family and friends to come together, play sports and celebrate birthday parties. Enjoy a safe, indoor environment where kid play their favorite sports year-round! Customized birthday themes in this magical setting in Outremont. This new indoor play center gives your little ones the birthday they want! With Sportball's action-packed birthday parties kids enjoy a variety of sports and supervised games in a safe, structured environment. High Energy & easy on Mom & Dad ensures everyone goes home happy! Situated in the heart of St. Leonard the Leonardo da Vinci Centre is Birthday Party Central! Celebrate your birthday with decorative private birthday party rooms, hostess, food and tons of activities for kids ages 1-12 years old! Party place/café/boutique rolled into one! This multipurpose café ensures you get the best birthday for your little one with themes like Hawaiian Luau, KidChef Cooking Party, Pop Star Dance Party all while you sip your latte stress-free! Your kids will love the thrill of the challenge with Dynamix Kidvivor Birthday Parties. Incredible games, their very own tribal council and the possibility of winning cool prizes! Guess who is coming to your next birthday party!? Educational Fun Hands on Interaction with Animals! Get ready for a real Funky Dance Party! Dancing with kids for the last 10 years, Funky Feet brings the coolest moves from the latest tunes just for your Birthday Party! Fun, safe and entertaining atmosphere this amazing staff of "Party Guards", who are all trained lifeguards and incredibly animated offer deluxe birthday parties.